I Should Scrap That: Spring Cleaning! As much as I love spring...I don't love "Spring Cleaning" at all. That's why I think the Spring Cleaning Event I joined over at Ask Anna will make it a bit fun. It starts April 2nd, so I have some time to prepare myself for such an event. And it ends just before my son is out of school for spring break. Hopefully, all my Spring Cleaning will be complete and I can enjoy some time with him instead of time with the floors, counters, bathrooms, etc. So, while we are on the topic of cleaning...did you know your washer had a filter? I certainly did not! 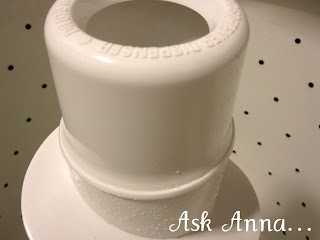 Check out Anna's post on the fluff the washer leaves on clothes and how to get rid of it!